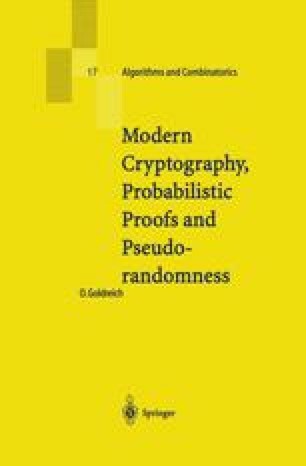 A fresh view at the question of randomness was taken in the theory of computing: It has been postulated that a distribution is pseudorandom if it cannot be told apart from the uniform distribution by an efficient procedure. The paradigm, originally associating efficient procedures with polynomial-time algorithms, has been applied also with respect to a variety of limited classes of such distinguishing procedures. Starting with the general paradigm, we survey the archetypical case of pseudorandom generators (withstanding any polynomial-time distinguisher), as well as generators withstanding space-bounded distinguishers, the derandomization of complexity classes such as BPP, and some special-purpose generators.